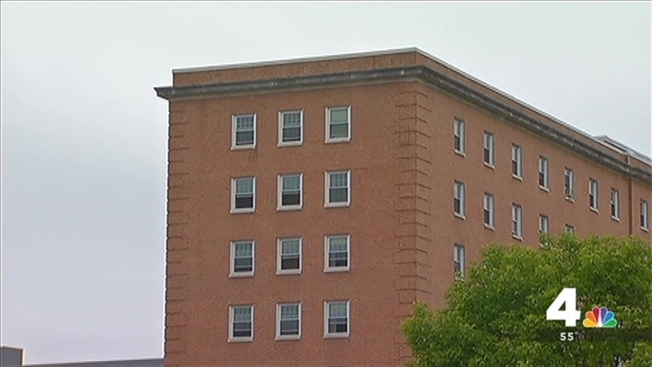 A male student at the University of Maryland says someone recorded him while he was inside a dormitory bathroom -- the third voyeurism case reported at the school in less than a month. The campus police department says the most recent victim was using the restroom in Dorchester Hall Wednesday morning when he looked up and saw a cell phone recording him. The victim yelled and the phone was removed. Police say the victim described the phone as an iPhone6 with a gray and blue case. There is no description of the suspect. Last month, two voyeurism incidents were reported on campus just days apart; in these cases, the victims were female. On Oct. 9, a student was in a shower stall in Wicomico Hall when she saw a cellphone over the top of the shower stall, capturing video footage of her. She yelled at the man and told him to leave, and he did. Just six days later, a student said she was showering in a women's bathroom in Cumberland Hall when she saw someone's red-and-white shoes outside the exterior curtain, facing the shower. When she opened the interior curtain to get something, she saw the exterior curtain was pulled slightly open, showing that a man was looking in. Police have not said whether the cases are connected.